Every year, the United States recognizes Dr. Martin Luther King Junior (MLK) for his amazingly significant achievements during the Civil Rights Movement in the 1960s. He took a stand for peace and equality using his voice to speak for those who could not. We celebrate his triumphs around his birthday (January 15, 1929) as a national holiday to commemorate the legacy he created. 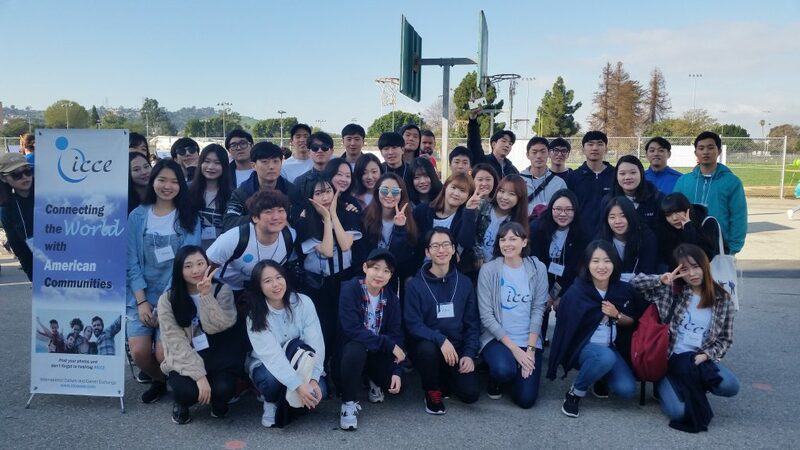 On Monday, January 16 2017, ICCE and our Korea WEST participants partnered with a wonderful organization, L.A. Works, to utilize this holiday and truly live out MLK’s famously known ‘dream’. He once said, “The time is always right to do what it right”. We arrived at Dorsey High School in Los Angeles early morning ready to work hard and make a great local impact on the community. This high school needed restorations such as revamping murals, fixing chairs and benches, repainting walls, maintenance of gardens and cleaning the grounds and classrooms. The landscaping took a good portion of our volunteering time and one of the WESTies said many high schools in Korea doesn’t even have grass to sit or walk on. 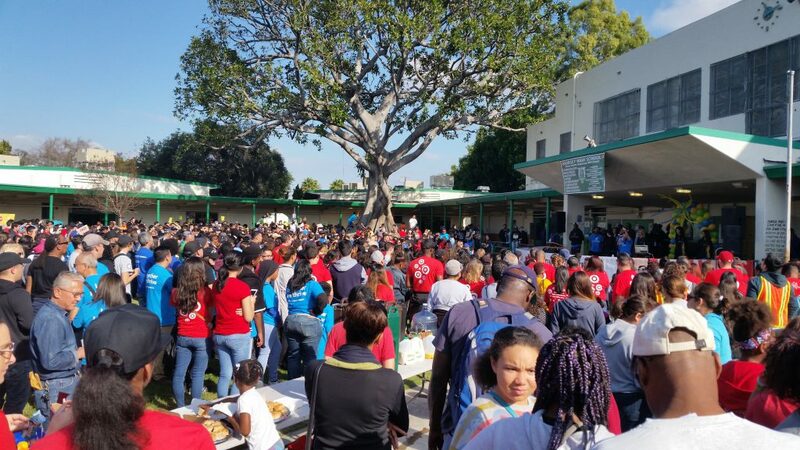 We were extremely lucky and proud to be a part of this day alongside over one thousand other local organizations such as Macy’s, Los Angeles Lakers, Target, and Matel. We gathered as one humongous entity and joined forces, listening intently to the influential speakers who lifted the crowds’ spirit. The importance of volunteering and service was discussed by these leaders and afterwards we were ready to work hard and have a great time doing so! We all shared a nice lunch together outside while listening to a live local teen music organization. Check out this awesome video to see just how many smiles were caught on camera! We had an immensely great time together serving our community!